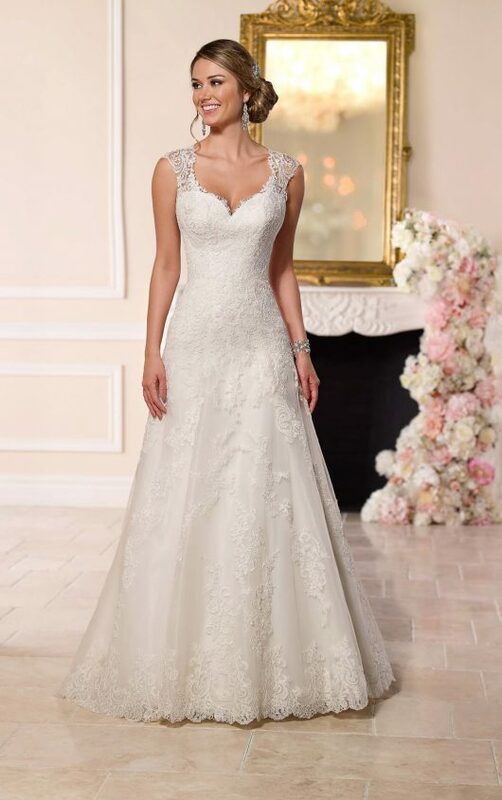 This romantic A-line wedding gown from Stella York boasts eye-catching lace cap sleeves and a scalloped-lace illusion back with pretty fabric-covered buttons. 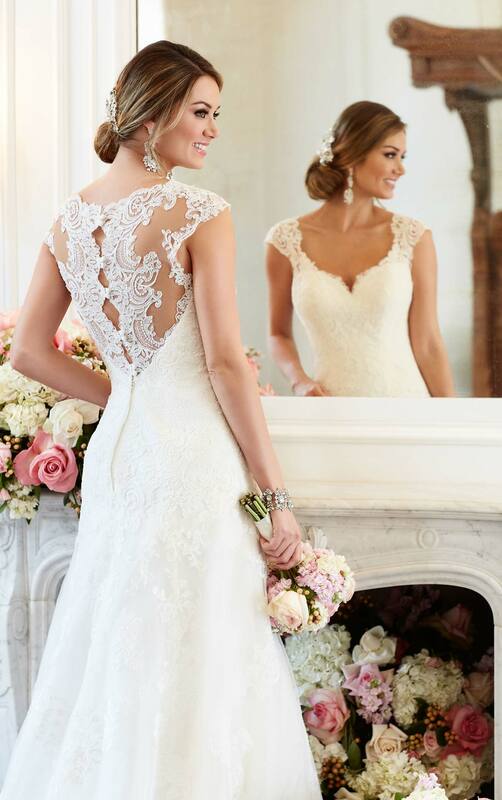 The sweetheart neckline frames the face and features a scalloped lace trim that coordinates with scalloped lace on the hem. 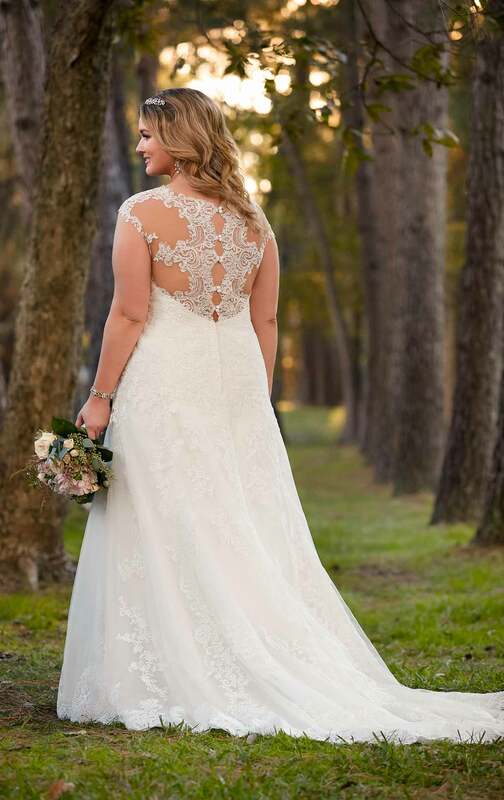 The lower back zips up with ease.